It's that time of year again! The birds are chirping. The snow is melting. The flowers are starting to poke out of the ground. And the sunshine can't get through the grime on my windows -- eep! Time for some spring cleaning. 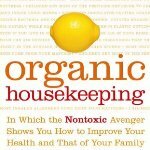 A few years ago, I decided to try to cut down on the chemicals we were using in our house. My husband is a bit of a cleaning supply addict and we had amassed a collection of sprays, powders, liquids, bleaches and wipes -- all with their very own cleanliness claims but none that I wanted gracing the surfaces of our home. 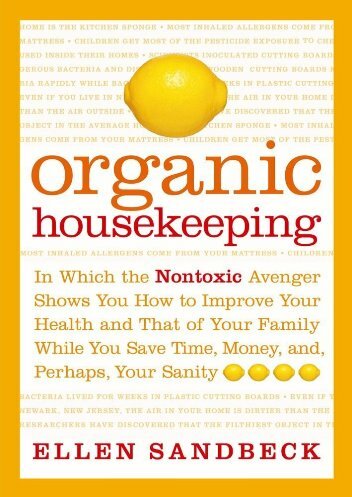 Fortunately, I came across what I consider to be the bible on organic cleaning: Organic Housekeeping: In Which the Non-Toxic Avenger Shows You How to Improve Your Health and That of Your Family, While You Save Time, Money, and, Perhaps, Your Sanity. Keep two spray bottles in the kitchen and in the bathrooms -- one with white vinegar and one with hydrogen peroxide (requires a metal spray bottle) -- for quick and easy wipe down and disinfecting. Use the morning's coffee grounds to scrub the evenings pans -- the grounds are non-scratch and add a little extra oomph to a hemp-fiber sponge. Keep a collection of small cloths in a drawer in the kitchen along with a small hamper and you will always have a cleaning cloth available for spills -- instead of reaching for paper towels. Use vodka to clean felt-tip pen stains from fabric -- this totally works and is WAY better than dousing fabric with hair spray (which was how I used to do this trick). Do you have a favorite green cleaning trick? Feel free to share in the comments below!